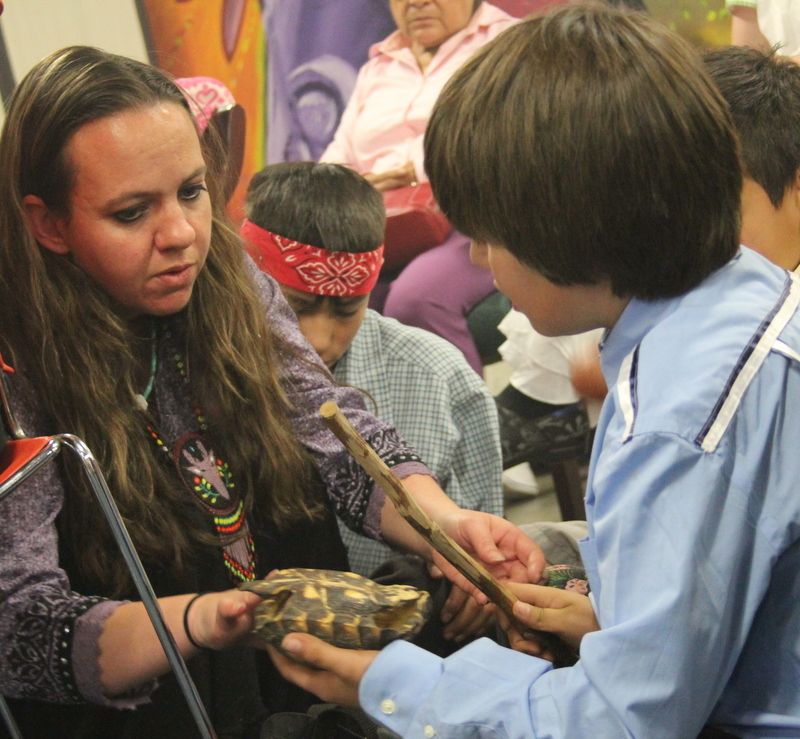 DENVER-On May 7, 2012 the community lost a longtime Matriarch of the Genizaro Apache Tribe when Maria Isidorita “Dora” Equibel, Mni Wiconi Winya crossed over. 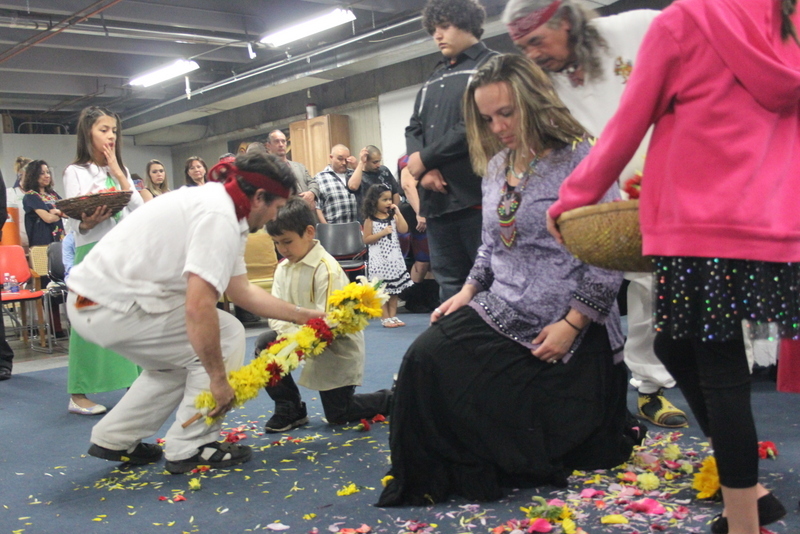 Over a hundred friends and family members attended a traditional ceremony at Sisters United for Education in Denver today. 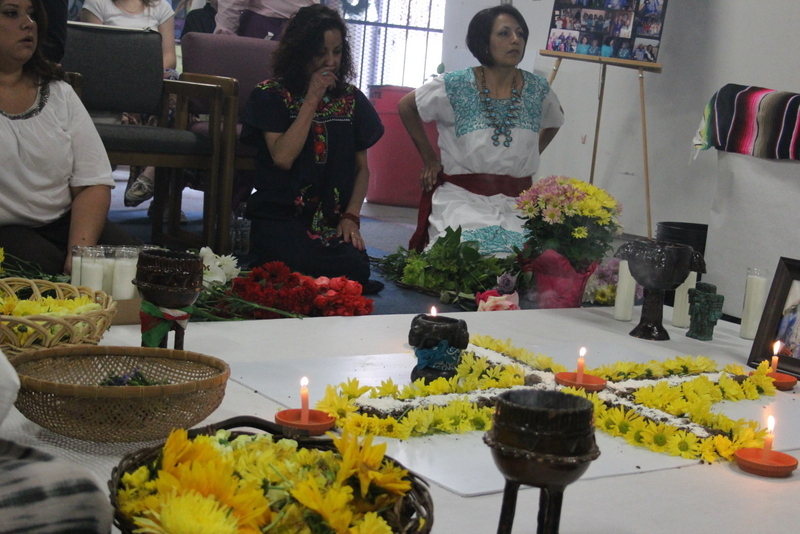 Traditional alabanzas, prayer songs and a sharing of food took place as members from many sectors of society appeared to honor her through participation in ceremonies. 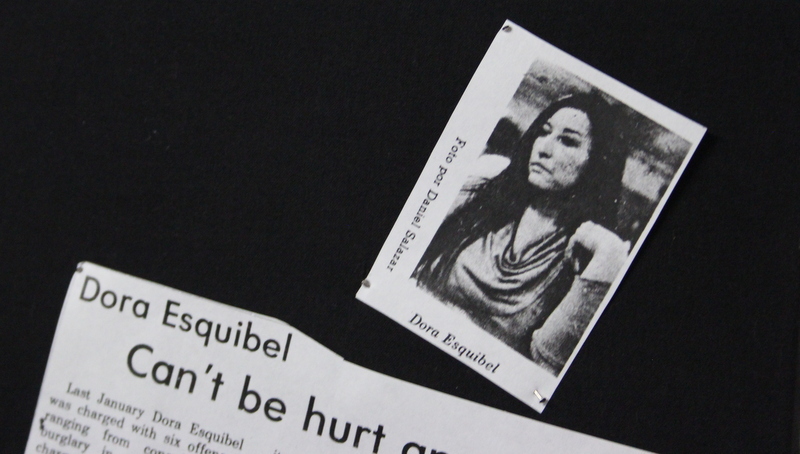 Dora Esquibel was a University of Colorado alumna, activist, and was active in the Chicano and Migrant Rights Movements. 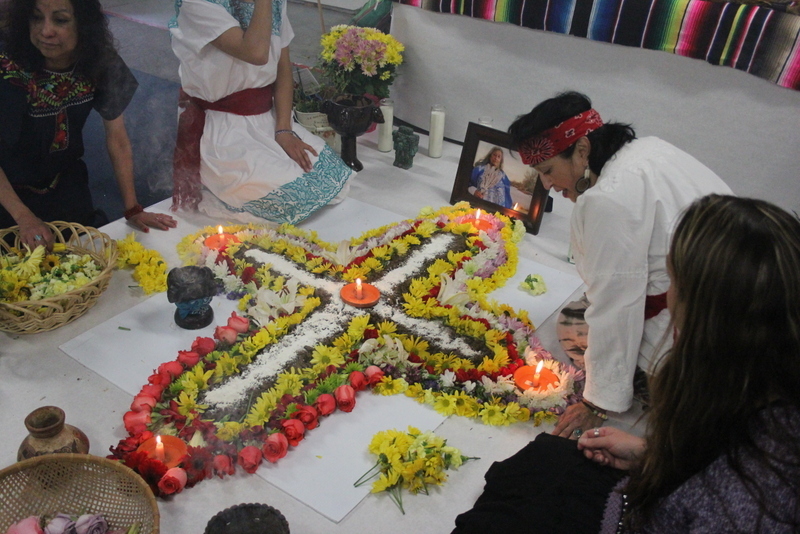 She was a member of the United Mexican American Students (UMAS) at CU from where she graduated in 1982. Early on in her CU career she was involved in a student take-over of one of the campus administrative offices. She and the administrator whose office was taken over would later become family. 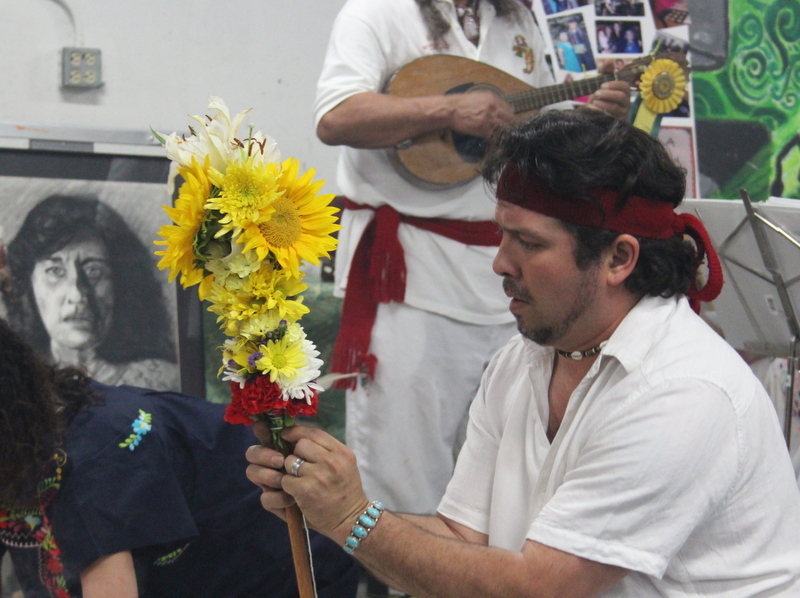 Her son David Atekpatzin Young, MA, Curandero explains when he talked about his mother. David: There was a time when my mother had to go to work but also wanted to go to work. And she ended up working for the War on Poverty, [President} Johnson’s War on Poverty. I think part of the intent of the War on Poverty was to get activists off of the street, to give them a job and in some way control them but also employ them and then you don’t have to worry about them. What it did for my mother, because she ended up working in the Tri-County area in Southeastern Colorado, she got to see the horrendous the absolutely horrendous treatment of migrants by the farmers in Southeastern Colorado. It opened her eyes. And in opening her eyes, what it did was, it did something inside to where she realized she had to do something. She had to do something about it. 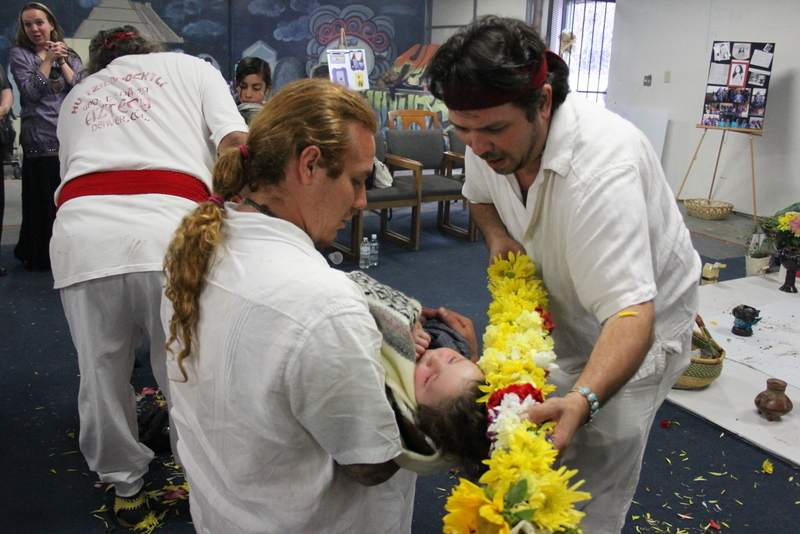 And she became very involved in the Chicano Movement. In so becoming involved, took a step forward. I remember the first time that she got up and spoke at a Chicano conference that was held in Rocky Ford, Colorado. Corky Gonzales came down and a number of other people came down. And her voice was trembling, absolutely trembling but she was up there anyway. I know she was terrified to be in front of people. But she found her voice and this is something that women didn’t have at that time. So the movimiento for her gave her an opportunity to find her voice and to speak her voice and she always spoke on behalf of women. And not like the women’s lib, like the white women’s liberation. She had a lot of issues with that because she said, “If all we’re going to do is liberate ourselves from our men, then that’s not enough because our men are also oppressed. Our men in our community are oppressed.” she said, “So we have to look at the bigger picture.” And that’s what my mother did. She stepped forward. She did that kind of work. She created a name for herself across the state and across the nation, actually. 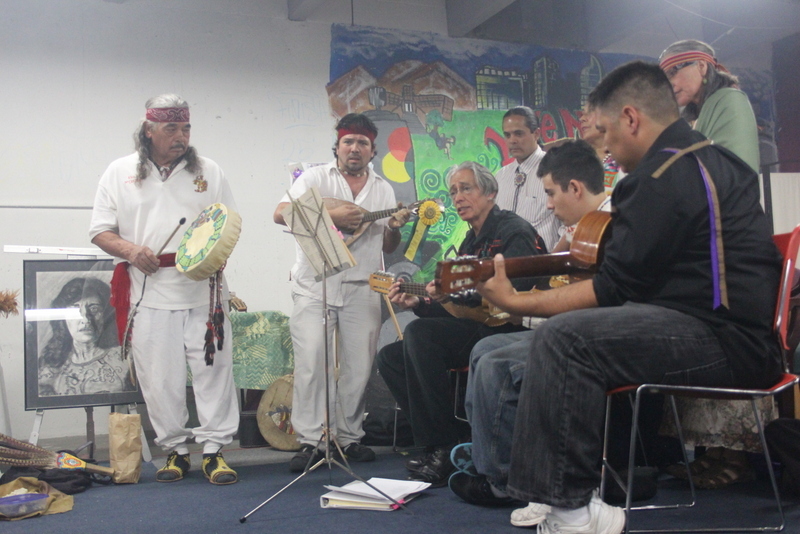 [Such as for] the ten-year anniversary in Los Angeles after the killing of Salazar and some of the other people, the Brown Berets for the moratorium that they had there-for the ten year anniversary when she came out. She was one of the speakers out there. She traveled down to Nicaragua. She met [President] Ortega, and did some work with him down there and he knew who she was. And so my mother was very active and very involved and it was all about social change. If you ask my mother who her role model was, it was my grandfather, her father. He was involved during the time of the Depression, he was involved with the Democratic Party. It was at a time when the democratic party didn’t quite have the foothold that it has today. And he was very involved, especially up in Wyoming doing some work. My mother was part of a….people don’t like to talk about this but there was human trafficking that was happening between New Mexico and Colorado. Today the human trafficking comes up from Mexico but at the time when my mother was a child, it was coming from up from New Mexico. She grew up between New Mexico and Colorado. She remembers traveling from New Mexico at night in the back of a pick-up with a tarp over it. When they arrived they were actually placed with a farmer in La Junta, Colorado. This farmer apparently had a reputation because he was a famous wrestler. And this is the family that they stayed with. 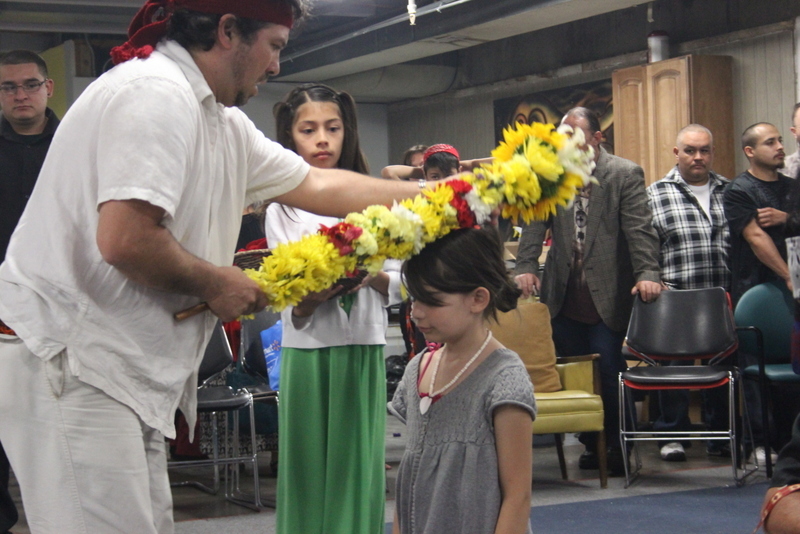 And they had to work with that family in order to pay their passage, pay their trip from New Mexico to Colorado. So they spent the summer doing that to pay off their trip and it left them only enough money to go back to New Mexico. My mother grew up very poor and she grew up as a migrant worker. I also worked in the fields when I was younger. So my mother understood the plight of our community and the difficulties that we went through. And in finding her voice, that was a voice that she felt needed to be out there. She was involved here in Denver. At some point she realized that in order to be involved, she needed to get an education. So she got enrolled here at CU. And when she came to CU that’s when she became involved with UMAS and MECHA. And very involved. We were very involved with the Crusade for Justice and all the people. So when we arrived in Boulder in 1972, my mother became very involved with UMAS and many of the events that were happening there. There’s a point at which in the fall of ’72 the students were not receiving their financial aid. And the administrative offices were making lots of excuses for this not happening and making a lot of promises. At some point the students decided, “you know what, we need to do something about this,” so they went in and they took over one of the offices. It was the office of James Quigley who was a chancellor or something at the time, I don’t remember his exact title. I was involved in that. I’m not even a college student yet but there I was in that office. We took over the office. Sealed ourselves in. They called the police. But we had organized this in advance. So at the point that we took over the office, there were 200 Chicano students outside Regent Hall demonstrating. So they wouldn’t harm us and they actually gave us amnesty. But it brought the attention of the governor. And they ended up meeting with the governor. It went so far as to meet with the governor. That was Vanderhoof I think at the time. And in meeting with the governor of course, nothing came of that. And he only gave them a few minutes. He didn’t really want to hear what they had to say. But the irony in all of this is, the daughter of James Quigley is now married to [Dora’s] grandson. To my mother’s grandson. Who’d of thought? There’s real irony in that. And we have four grandchildren from them. So they would be my mother’s great-grandchildren. So here we are. Nemesis. You know people on two sides of the line here. And we end up family. And [the Quigley’s are] here [at the ceremony] today. I first met Dora at the UMAS and MECHA offices at CU in the UMC. She would always be there a lot because she worked a lot with the community and with the students. I came to Colorado in the late 70’s. 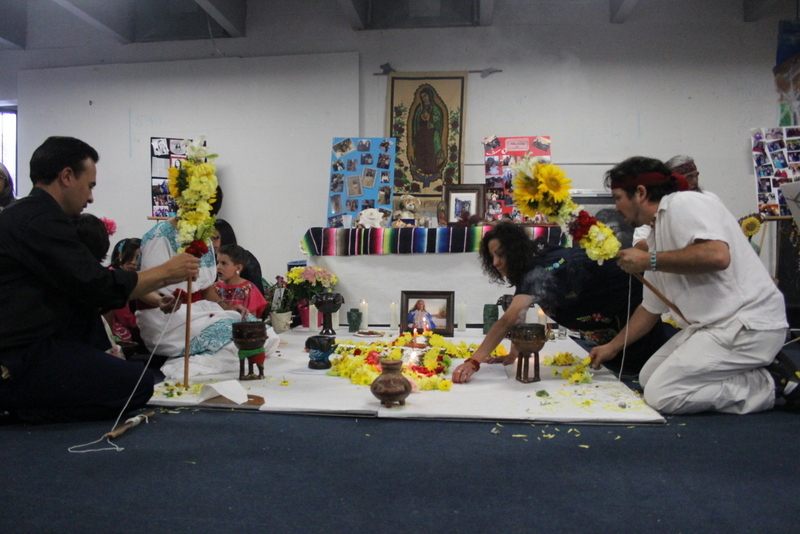 she was always really, really active in the community with all the different struggles, for ethnic studies, for people, for groups, for organizations. She was always out in the community so I think she was one of these ever-present activists. I think she inspired generations of people. 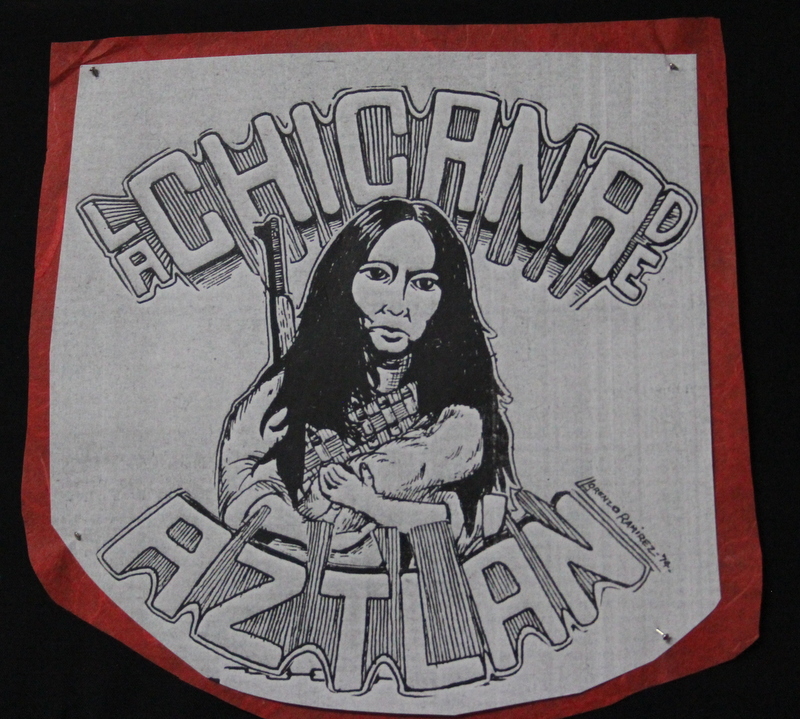 This entry was posted in Civil Rights, Human Rights, Labor, Migration, Militarization, Police Brutality/Misconduct, Politics, Racial Profiling/Discrimination and tagged Aztlan, Chicana activist, Dora Equibel, UMAS, University of Colorado. Bookmark the permalink.